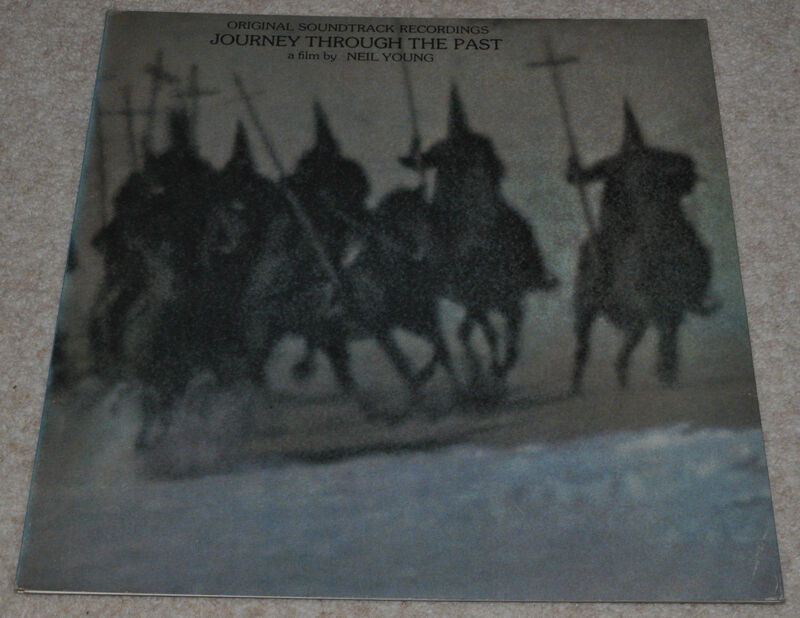 NEIL YOUNG Journey Through the Past SCARCE ORIG UK 1972 EX LPs. LOVELY EXAMPLE. Over the Holiday Period, I am offering some interesting Christmas ‘Crackers’ – lovely albums – some rare – ENJOY! Postage: UK £4.75 (£1 per extra record). Europe (including Russia) £12.50 (£2 per extra record). Rest of World (including ALL parts of the USA) £16.50 (£3 per extra record). All boxes signed for in quality, safe packaging – I NEVER use mailing envelopes that offer virtually no protection at all, and records WILL arrive damaged in them at some time as most record buyers will already know. Here, you get what you pay for – SAFE PACKING in BOXES using 7mm DOUBLE-WALL STIFFENERS including full side protection and bubble wrap, the records removed from the covers of course. All this very safe packing means I lose money on every box I post, but safe delivery is, and will always be paramount. You WILL see the difference when my packet arrives. Also, I will pay for insurance on any record that sells for over £100 at NO extra cost – that is UK and abroad. Also I aim to post the very same day after payment is received if possible. PLEASE NOTE: I will NOT send any item, no matter what its value without a Royal Mail or courier tracking number. ALL my items must be signed and traceable to comply with Ebay delivery rules. Please do NOT ask me to make any exceptions to this rule as no country offers 100% reliable service without it. Posting to Russia: Yes, I do post to Russia. But delivery can take up to 4 to 6 weeks from the UK. So please be patient. I will submit a tracking number to the winning bidder, and when the packet arrives there it can be followed online using the Russian post website. ALSO: I now apply the Ebay ‘2-day’ rule for non-payment to keep things moving – cash-flow is important for any small business. FINALLY: Late payers, non-payers and ‘0’ bidders will now be blocked or cancelled at my discretion. As will any bidder who cancels a bid. I do not like this practice as it is most often used to phish out the price to beat. Ebay does not approve and neither do I – so only bid on my items if you want them. Side 1: For What its Worth/Mr Soul; Rock and Roll Woman; Find the Cost of Freedom; Ohio. Side 2: Southern Man; Are You Ready For the Country; Let Me Call You Sweetheart; Alabama. Side 4: Relativity Invitation; Mendel’s Messiah; The King of Kings Theme; Soldier; Let’s Go Away For a While. [Note: Side One backs Side Four]. Label, Format and Condition: Reprise – tan format with no Warner logos. Four dark coloured early examples that show few, fine and light spindle marks. This double set purchased new by one owner and appearing little used. Cover-protected, this one wear-prone and the best I have ever seen. Mode / Speed: Stereo / 33.3 rpm. Warps: Assume all records I offer have no warping of any significance and all tracking is easy and effortless and should play on all turntables and even ‘budget’ decks. Weight of Records: 136 / 138 grams. Rarity: Scarce, this double set sold very poorly, probably due to the largely negative reviews it received when issued. Not only that, finding copies of this in anything like top condition is very difficult. With its idiosyncratic cover design, this is often seen in very poor condition – most rife with rubbing, often heavy ring wear and even damage due to it’s delicate, flimsy construction and lack of bottom folds to hold the records – yes true – this is one of the few covers I can think of where there is no means of holding the contents inside. All elements of this set are highly impressive and seldom seen as such. Musicians: This includes contributions from Crosby, Stills Nash; The Buffalo Springfield; The Stray Gators; The Tony & San Alamo Christian Foundation Orchestra and Chorus and of course, the man himself. Brief Artist & Album Info: One of two early Neil Young albums not available officially on CD. It’s a ‘soundtrack’, possibly not to be classified as a proper ‘new’ album. The critics of the time were largely unimpressed by it. It’s a documentary style issue, it has extended versions of some of his great songs including ‘Words’ and a stunning version of the classic ‘Southern Man’ and includes some vintage live material by The Buffalo Springfield, his former band. One track no-one will ever mention is the rousing instrumental on side four ‘The King of Kings Theme’ which I really admire. It has an infectious stomping melody that really gets lodged into the subconscious. The cover is chilling with the Klu Klux Klan riders sillouetted with their crosses – a reference to ‘Southern Man’. The actual design of this cover has to be put more into question than the contents. For those not familiar, it’s a gatefold format with two inner opening flaps that are bottomless – yes this has no method of holding the LPs and inners inside, they simply fall out of this bottomless cover – it is almost uniquely idiosyncratic (and potentially disastrous, how many of these records will have hit the floor?) A notoriously difficult album to find in good conditions, the cover especially prone to all forms of wear and damage, this has little to fault and has the least rubbing I have seen to date. Both inners are immaculate with no edge splits, the wording fills the cut window inside the gatefold as seen. Both records visually impressive and clearly lightly handled or played, they also play very well. It is reputed it will never issued on the digital formats so vinyl is the only official way of hearing it. Along with Time Fades Away (also on offer), this pair are still exclusive to vinyl (and possibly vintage cassette tapes?). If you see this album on offer on CD it will not be official. For those who ignored this one back in the day, it demands to be heard. Forget the critics, this elusive double set is an essential part of this man’s sublime catalogue. Cover Grade and Format: EXCELLENT(+): and arguably better for one that rarely wears well. Notoriously flimsy and prone to all forms of wear, especially ring wear. A gatefold format with middle opening flaps that have no top or bottom golds to hold the records (when viewed the correct way up). Unlaminated with matt surfaces, quite smooth but with the faintest trace of texturing. Printed and made in England by MacNeill Press Ltd, London. Includes the two graphic card inner sleeves. Cover Front: A tiny few fine edge creases and a very fine rub trace near the bottom right corner apart, this superb front has little else to fault. The lack of rubbing and especially ring wear both sides is unusual and makes this cover look really impressive. It is seldom seen as such. Cover Back: The back is even better, and that rarely the case. Just the odd tiny tip rub or super-fine surface crease. The best I have seen to date. Cover Gatefold: When opened fully, the white card back shows a little darkening of the central main fold. The printed ‘flaps’ are clean with no rubbing, creasing or wear. Both of the cut-out areas are filled with the text of the inner as seen in the pictures, these cut areas are both crisp and neat with damage. Right Edge: Both are closed and unworn with neat attractive surfaces with barely any compression. These are white with no text printed on them. Top & Bottom Edges: Four edges top and bottom – eight in total, all single thickness and open, these cannot be closed making the onus on the owner to be very careful with storage and handling as the free-floating inners and records will simply fall out if not gripped tightly enough (or tilted 90 degrees). Against the odds, all show minimal thickening, the bottom ones barely any and they remain very impressive. Spine and Text: Thick but flimsy and highly prone to crushing, bending and creasing. This one has retained excellent shape and remains uncrushed or flattened. So any tilt or compression minimal with all text unworn and very well centred as seen. The surface and folds with very little rubbing. This is blue, whether this is natural colour, not sure being honest. Others I have seen have been the same. Corners: Any tip rubs or creases small and light. Given their flimsiness, all have again fared very well. Cover Summary: Difficult hardly covers this one, rarely seen much better than VG, I consider this hardly worn example near exceptional, it should please many, if not most collectors. The Inner Sleeves: Both NEAR MINT: thin card unlined graphic inners, both printed each side. The text fills the window cut-outs on the main covers inside. These inners are practically as-made, clean, fresh and devoid of rubbing or creasing with no edge splits or repairs. Vinyl Condition/Visual Grading: EXCELLENT: a very fine visual copy that are very clean with equally fine shine and very solidly pressed. A copy with minimal plays on all the evidence with any surface marks mostly very light, wispy and faint as seen critically under bright light. Fine hairlines, no penetrating stylus scratches, viewed in average room little show. Visually lovely records that should please many collectors. Sound Quality and Audio Grading: This quite elusive double set plays even above it’s high visual grading with little to fault. Offering strong, distortion-free sound, all frequencies are sharp and clear – sound quality is very high with a wide dynamic range and very detailed sound. Any surface sounds are minimal indeed, but with some very quiet passages, the odd contact sound here-and-there is near unavoidable. Both records are well pressed with no tracking issues* or inherent pressing flaws or noises. Few available copies will outperform this early pressing significantly I feel sure. Both channels are clean and sharp, I am certain these records have been played very lightly and has been generally well stored and carefully handled within a non-smoking environment. Little of any real note spoilt my pleasure when play-grading this somewhat overlooked album. It will prove very difficult to find significantly better and can be strongly recommended. * As played-graded on a high-end Linn LP12 Sondek turntable with Ittok Mk II arm and Ortofon Quintet Black moving coil cartridge tracking at 2.2 grams. Records are a ‘contact’ format, and few will avoid the odd minor sound blemish. Now one of the most established sellers on Ebay and still offering the finest and most accurately described and graded records I can find. I pride myself on offering a variety of genres to keep my site as interesting as possible. I will rarely offer any record that falls below a true Excellent grading, unless its of a certain rarity which will justify offering a lesser grade. I try, to the best of my ability to describe as accurately and as honesty as I can all items I offer for sale with all the relevant information I can think of to help any potential bidder and collector. You may notice I only submit records sparingly on Ebay as I Play-Grade every record I offer in their entirety – also on higher-end equipment – not just bits to guess a grade – visuals alone do not always tell a true or full story. I will mention any defects or flaws no matter how small that I notice to be fair as possible to any interested collector – I am very fussy and my buyers have the right to be too. Every record I offer, whether it be a common or rare item deserves the same respect as far as I am concerned and will be treated the same - just because an item is rare does not always mean it’s good. I get just as much pleasure offering a relatively common record in stunning near mint condition as the real rare items. All the pictures I use for your guidance are the item being offered with no digital enhancements. Room light factors can make things vary sometimes, that is hard to control, especially in winter. If any picture I take looks more flattering than the actual item for any reason, I will clearly state the fact in the advert and vice-versa. I hope the item below is to your liking – any questions can be emailed and I will do my very best to answer you. I am enthusiastic, and have a fair degree of knowledge about many genres and I promise quality items. Please assume all records I offer have NO jumps, sticks, warps or writing on covers or labels unless clearly stated to the contrary. Thanks for your interest and Good luck – MIKE. Deck: Linn LP12/Hercules/Cirkus with Ittok Mk II arm and Ortofon Quintet Black moving coil cartridge (tracks at 2.2 grams). Amps: Naim Supernait 2 with Project USB phono stage and Tellerium Black interconnects. Speakers: B&W 805 Nautilus (bi-wired with Tellurium Black terminated cable) with REL subwoofer. All records I offer on Ebay are cleaned on a professional Nessie vacuum machine before play-grading for the cleanest and best possible sound and will include a brand new lined inner and protective cover too. Pictures taken with a Nikon D5000 SLR Digital Camera. PACKING - THIS IS WHAT YOU GET. What You Get: To confirm to the strict Ebay rules on shipping, I must now send ALL my packets ‘Signed-For’ with NO exceptions. Both buyers and sellers want their packets to have a safer journey and this is not a bad thing. I now offer the fastest possible posting, often the very next day after payment is received or within two to three days maximum (unless on holiday). I only use FIRST-CLASS Mail. The record’s cover will be placed within a BRAND NEW soft protective sleeve and the actual record will be professionally cleaned on my new Nessie Pro vacuum system to give ultimate clean grooves and playing surfaces and the best possible looks and ultimate sound quality. You will NOT get tired, dull looking, dust infested records inside worn and foggy covers with tatty inners from this seller and that’s a promise and guarantee. All records are posted in professional boxes (NOT Mailers, these do not offer any real protection). The record(s) are REMOVED from their main cover to avoid edge splits and placed within a brand new polylined inner. The record’s original inner will be included if available. The boxes are then reinforced with at least TWO, ULTRA THICK stiffeners for maximum extra protection – these are FOUR TIMES thicker than commercial stiffeners and are custom-made for oneadayrecords. Really rare and expensive albums will even be Double Boxed if deemed necessary and possible. When larger boxes are used, the thick record and stiffener ‘sandwich’ is then thickly embedded into bubble-wrap to bulk out the record inside the box to centre the item inside to reduce the risk of damage still further. Printed address labels are used for clarity as well as a sender label. Customers requests or special needs for P&P will be respected if at all possible but ‘Signed-For’ posting is NOT an option anymore. I do not profit on posting, better quality packaging costs, I offer probably the best-value and safest shipping possible for ultimate confidence. The boxes and ultra thick double-wall stiffeners make a near impregnable fortress for safe shipping and this is used inland and overseas for ALL my records, not just the rare and expensive. I will invoice any winning bidder as soon as possible after the auction ends. My ‘loss’ or ‘damage rate’ is minuscule in over 17­ years of Ebay trading and I consider that pretty exceptional. The only damage rate acceptable for this seller is ZERO and I think my packets will offer just that. It would take a vicious postman or postal service to damage these for sure. Oneadayrecords is a MAILER-FREE ZONE. I discount of course for multiple purchases with a maximum of FIVE records per box (one double can sometimes be included subject to total weight). All postage costs are below and at the top of the listing. NOTE: First Time Bidders: Please ask me first. PLEASE NOTE: I now exercise my right to open a dispute after the Ebay rule of TWO days if no payment is received. I will then cancel the dispute to end the bid, again after the mandatory FOUR days and then offer the item to the runner-up or relist. The non-payer will also be blocked from my Ebay site as will any suspicious bids or bid withdrawals. Small businesses need prompt payment to trade and these strict rules WILL be applied. 1 LP (Special Delivery with Standard £500 Maximum Insurance) [Signed For, Next Day] = £7.50. (this includes insurance of £500). Add £1 per extra LP. 1 LP (Small Packet ‘Signed For’ with Standard Royal Mail Insurance [£50 maximum]) = £12.50 (enhanced Royal Mail insurance is an optional extra £3). Add £2 per extra LP. I prefer PayPal or cheque from UK winning bidders. I can accept PayPal from overseas bidders or direct payment into my bank account. Potential Bidders: I will cancel any bids I feel are time-wasters. A maximum 3 days for communication and 7 days for payment to arrive - if not I will relist the item or offer to the runner-up. Fast deals get great feedback from me. Any questions - please ask and thanks for looking. My Guarantee: If any winning bidder is not satisfied with their purchase I will offer a complete refund. I will not refund if any defect detail is clearly stated on the advert and missed by the buyer, so read the item description carefully. If any overseas collector does not understand anything in my listing, please email and ask me to help. Thank You. My Use of Description Terminology: Surface Marks = Superficial, usually light marks, hairlines or light scuffs that rarely sound. Scratch = a needle mark that goes below the record’s surface, some will sound, some will not, my play-grade will inform. Original = a record that has been pressed with the first label design which does NOT necessarily mean a very first pressed record. First Pressing = A record that I believe or know to be a genuine very first pressed record. I do not claim to always know for sure, and that’s why I state the stamper and matrix numbers if at all possible, for those who claim to know what they all mean, the information is there for the collector to decide. I prefer to use terms like ‘Early Copy’ rather than ‘First Pressing’ if I am not totally sure. Surface Sound = Mild, light sound, usually light crackle or similar. Distortion = Break up of the actual sound caused by groove wear or damage from a chipped stylus – the most undesirable form of unwanted sound, vintage mono records were the most prone to this happening but not exclusively so. The symptoms of distortion are high frequency clipping, moderate constant crackle or an echo type sound quality. Violin, piano and vocals are most prone to groove-wear distortion. Feathering = Fraying or softening of the entry edge of a cover. Covers with feathered entrance edges are more likely to have had the actual record inserted and removed more than a non-feathered, sharp-edged cover which are always far more attractive. Set Off, actually a printer’s term for dark ink leaving mild residue on pale or white ink when rested upon. e.g. when a gatefold cover has black ink closed against white, this can leave some black residue on the pale area – this is mostly unavoidable or course. The Argument for Vinyl Original sound and mix (mono mixes are rarely available on CD), high quality sound on clean copies (played on a hi-end dedicated analogue system – breathtaking sound! ), beautiful, large format covers, artwork, inserts and even full size posters etc; huge investment potential, and the pleasure of owning ‘the real thing’.